SAVE THE DATES of Sept 13 and 14, 2019! We have never had the opportunity to have a reunion this late in the summer because we all worked, but for many, that has now changed. Having it in September will allow us some options we didn’t have before. After the game we can head over to the new “Single Speed Brewing Co” to finish the night, for those that want to attend or other places you might remember going to after the game. During the day on Friday and Saturday, we are considering things like Golf, Pickleball, Tour of the new John Deere Museum, tour of East High, the 5 Sullivan Brothers Museum and more. These were suggestions from our first meeting. If you have more ideas, please forward them to us. On Saturday night we will have our Buffet Banquet in the Ball Room on the second floor of the Isle Casino. We inspected it last week and this will meet all our needs and there was NO hint of smoke in the ball room at all. We don’t have all the details, but this will give you an idea of what to expect. We will have a block of rooms available as soon as we sign the contract. It is going to be a great weekend and we hope you will be there with us. So…. WE NEED YOUR HELP! Our graduating class was 503 in numbers. We know of 46 of our classmates that are no longer with us so there are still 450 of us out there and we want to get the word to them. That is where you come in. If you have reliable contact info on others let us know! Email and Facebook contacts are the best but we will take what we can get. Our Facebook page is “East Waterloo Class of 69”. Join our group! East High Alumni site at www.waterlooschools.org/schoolsites/easthigh/east-high-alumni-home/ and Waterloo School system site at www.waterlooschools.org/reunions/. Spread the word and Send us contact information! As plans are completed we will keep you updated!! Come and celebrate our 60th reunion both Friday and Saturday night! 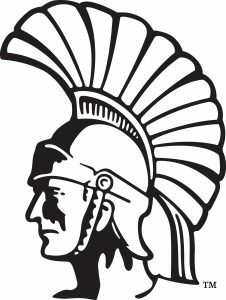 August 24, 2018 meet in Lincoln Park for Friday Loo. August 25, 2018 will occur at Brown Bottle Waterloo – Social hour 5:00 – 6:00 with dinner at 6:30. For further information call Sharon Bergman – 319-234-0944 or Sandra Grove Roberts at [email protected] Thanks and we look forward to celebrating soon! East High alumni, staff, and friends of East High have the opportunity to leave a lasting legacy. 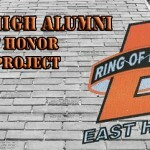 The Alumni Paver Project will be a brick walkway located between the sidewalk and East High School on Vine Street. Click here for more information! Click here for an order form!